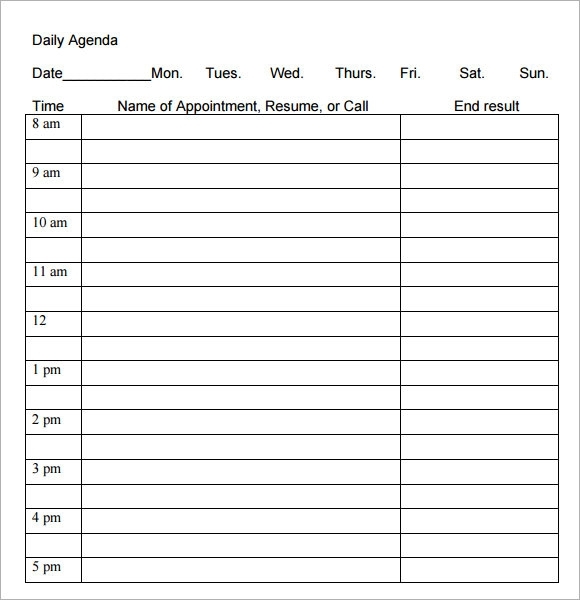 As a productive person, your daily agenda outlines your activities or list of things to be done in a day or within a specified period of time. 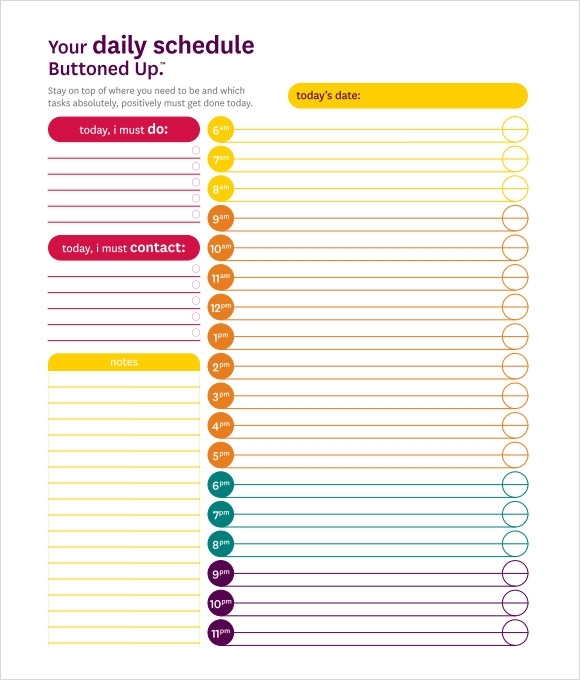 A guiding tool that will help you to prioritize all the things you need to achieve in definite schedule so you can move to your next agenda, it will organize all the set of plans you must complete so you can meet the goal for the day. 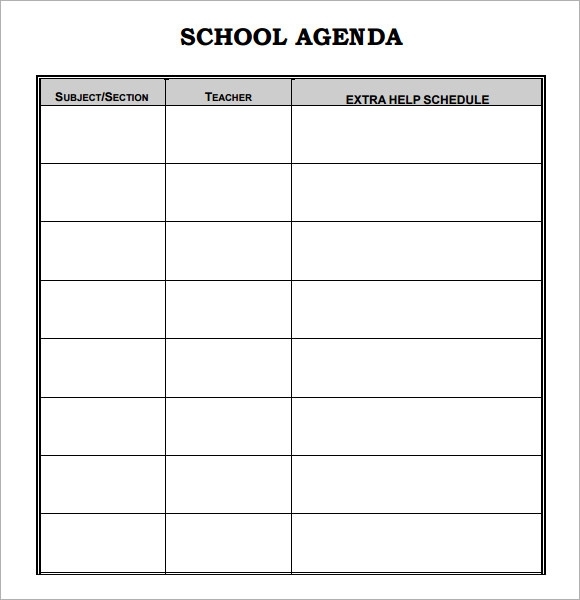 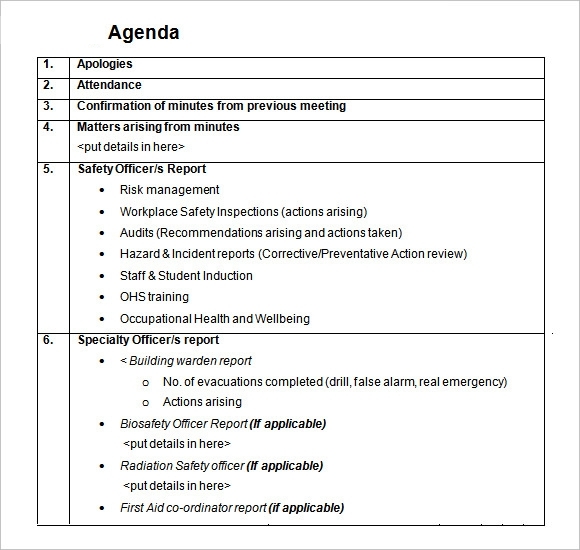 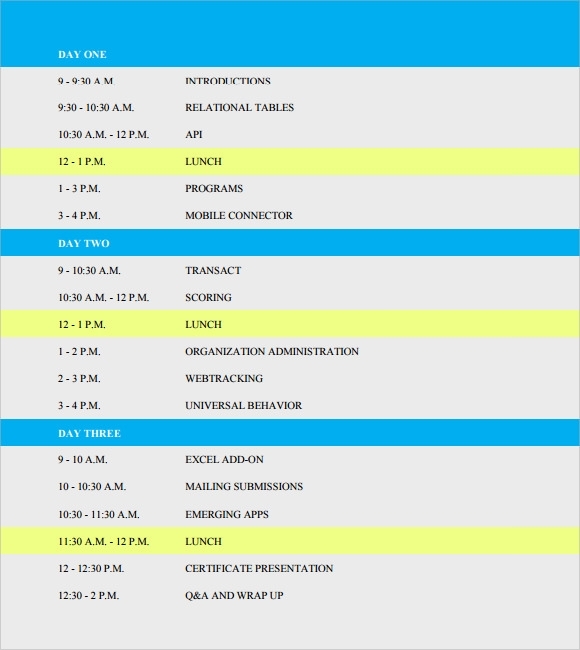 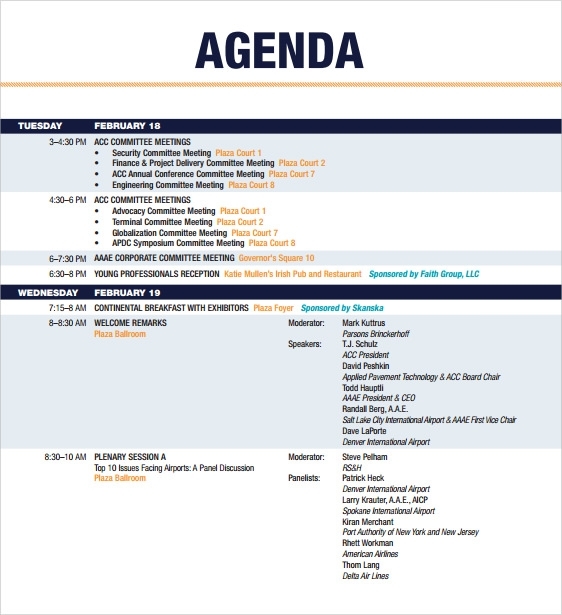 An example of Sample Agenda Templates is downloadable for the sample format you can look before, during or after an agenda to make all the things you set to be accomplished. 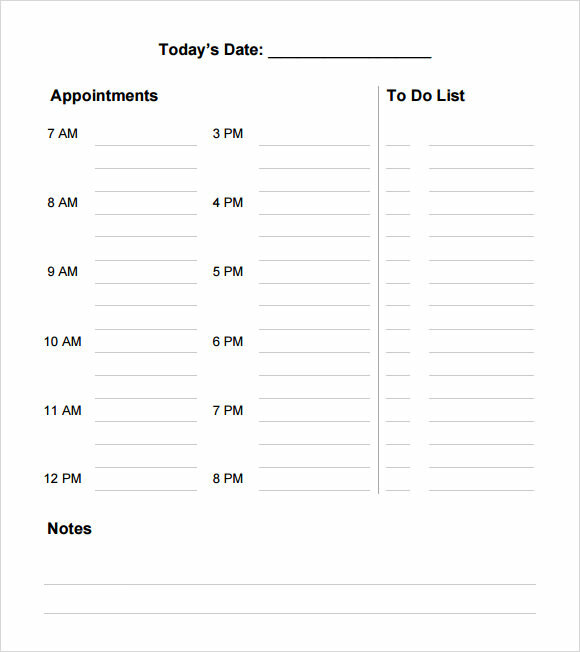 The daily agenda can have you the sense of success for every activity you completed so you know that you didn’t forget anything.